Crafted by Dr. Michael Hurdzan, one of the nation’s foremost environmental golf architects, Sterling National opened in 1991 to rave reviews. This 6,667 yard track combines challenge with unparalleled beauty. Sterling National Country Club is an Audubon International Certified Cooperative Sanctuary, one of only ten courses in the state to earn this honor. The 238 acres of nature preserve and wetlands, features wildflowers, active plantings and colorful landscaping design. Sterling National’s championship layout, with five sets of tees on each hole, challenges every player. 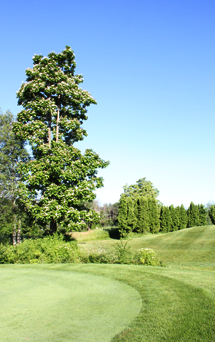 It is a supremely playable course in a natural woodland setting. Playing the extraordinary course is pure golf enjoyment. It is no surprise that Sterling National Country Club is among the most sought after private courses in Massachusetts.